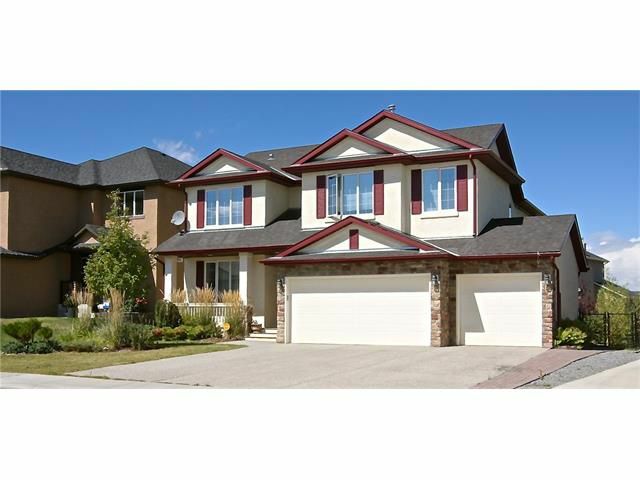 Best valued home in Chestermere that also features a Triple Car Garage! Conveniently located on a private & quiet street in a family friendly lake community. This home offers all the finer details from the grand entrance to the open concept main floor. The kitchen features a centered island, eating bar, backsplash, & wine rack. A formal dining room, dining nook, inviting living room with gas fireplace & separate home office with French doors completes the main floor. Upper level hosts the private master bedroom with a stunning en suite that has a soaker tub, dual sinks & walk in closet. 2 additional spacious bedrooms & a 4pc bath conclude the upper level. Upgrades include, underground sprinkler system, stereo wiring in kitchen, dual high efficiency furnace & vacu flow. Enjoy time spent on the large back deck with access to the green space behind. Close to schools, shopping & public transportation.